Service and style combine in Fergus’ full-service clothing store for men. Their success has built their longevity since 1976. 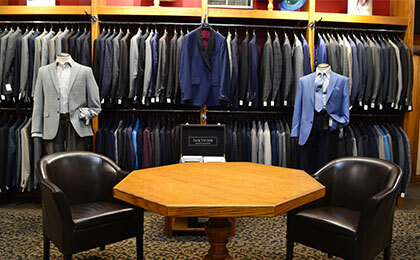 The store offers a full line of professional, formal and casual attire, from suits to denim comfort, tailored to fit, with onsite alterations. Broderick’s Apparel for Men carries an exceptional line of brands including Tommy Hilfiger, Columbia, Florsheim shoes, The North Face, Dockers, and Tilley Endurables, to name a few. Knowledgeable staff and a great selection will help men look great from the boardroom to their living room and everywhere in between.